Blast from the Past: Wow, Time Sure Changes Us! This “Gang of Four” spoke at an apologetics conference in Dearborn Michigan sponsored by Thy Faith Inc. (Gary Michuta’s organization). 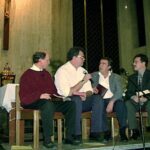 On the stage from left to right are: myself, Gary Michuta, Al Kresta and Patrick Madrid. 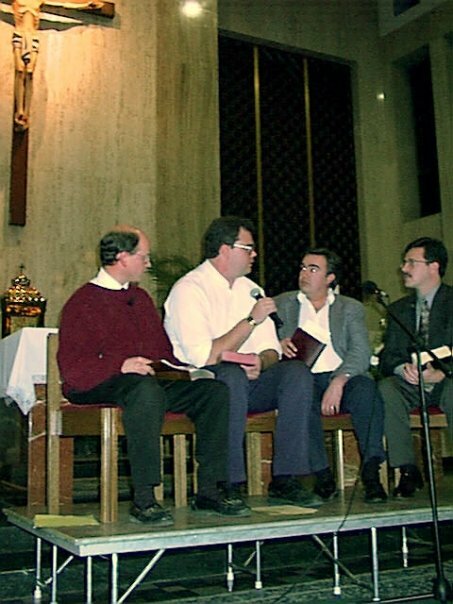 You can click here for the source of the picture which I think is Patrick Madrid’s FaceBook page. This was a long time ago, but there is still nothing I love better than explaining and defending the Bible and the Catholic Faith!